I think you need to distinguish between before tax (and NI) income, post tax income, and spending. Investment income is taxed less aggressively than employment income, no NI for example, and tax free pension lump sums make it easier. Exclude mortgage repayments from your retirement spending, as you are likely to have paid off your mortgage. If you have a family, spending at 65 is likely to be very different to that at 45. An obvious approach to planning, ask your parents about their finances. You know their lifestyle and family commitments, and hopefully they will be open about their finances. Some good points there vicarage although I could take issue on whether spending on family will decrease if grandchildren enter the equation! The idea is to use up all your pension by the time you die (default settings are for age 99 so not unreasonable) and based on your stock/bond allocation it tells you what percentage you can withdraw each year. If you make it to 99 then take out 100% and hope your grandchildren will look after you (your kids will be too old). You can backtest it with US data and it shows a pretty steady income stream in the very worst markets. 1) Pay off the mortgage. 2) Have a "cost of living" pot of money invested in trackers 60/40 stock/bond and withdraw 3.5% in year 1, then in year 2 take year 1 + inflation and then repeat until I die (although if the markets do tank I will probably withdraw 95% of the previous year which should not impact my life too much). 3) Have a "enjoy myself" pot and use the above VPW to withdraw x% of the pot each year and exhaust it by the time I am 99. Starting at 57 with a 80/20 stock/bond I can take 5% and by the time I am 67 it is 5.6%. It is possible I could live past 99, but it so unlikely and I doubt I will be doing very much as I will be plugged into the matrix. In any case, the chances are I will have a big pot of money to buy an annuity/upload my consciousness to the cloud. Thanks for outlining your plan which appears to be perfectly feasible. You say you want to retire at 57 and I was wondering how you calculate your 2 pots - do you have a target figure to aim for? Yes, very helpful read, thanks. For the cost of living pot which includes my wife's small final salary pension aged 60 it's about 16,000/year and about 20,000/year for the enjoy myself pot. I need to do more budgeting to see how realistic that is as currently we spend nearly double that but have a mortgage and two school aged children with sports clubs/school clubs/music lessons/gadgets etc and they are not getting cheaper. Those who are not close to retirement might find it hard to know what income they would require. One way around this is to make use of ONS statistics. These provide the median incomes of a working household and a retired household.Consider using these as targets to aim for - if most people can survive on these incomes then so can you. https://www.ons.gov.uk/peoplepopulationandcommunity/personalandhouseholdfinances/incomeandwealth/bulletins/nowcastinghouseholdincomeintheuk/2015-10-28 (NB disposable income is net of income tax, NICs and council tax). Add back the council tax and work out the gross income (excluding NICs). 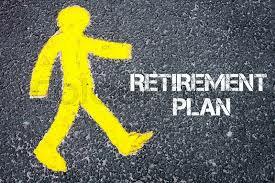 Assume that you will use pension drawdown (you can buy an annuity with some of it to cover the basics if you want). Be very careful with the % drawdown figure. If you intend to have your drawdown income rise in line with cpi each year without fail then around 3.75% might be tops.That means you need to amass a pension pot of median household income + council tax x 100/3.75. If you don't want rising income EVERY year then you can stress your pot more, perhaos 4.5%-5%pa. Read Guyton & Klinger's Decision rules paper very carefully for a rules based approach that takes the emotion out of it. For those in the decade before retirement, re-calculate the pot required each year based on the ONS household income figs. The idea is that as you will create a glidepath for yourself and know whether or not you are on target. THat's the top down approach. At the same time, do an annual bottom up cost of living tally. Remember that food electricity and gas go up more than cpi. Smile that you won't have to pay a mortgage or fork out for a season ticket. But frown because you might have the heating on more in winter and your car insurance premiums will rise with age. If you create a pension pot to deliver natural income then you don't have to worry so much about equity market volatility. You will also be able to see your future income rising each year as you head towards target. By building up say 3 years of income in cash you can ride out stock market setbacks without having to sell. 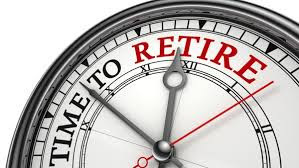 Apologies for going on somewhat, I hope you'll find these two approaches when combined will give you a very good idea of how much you personally need to retire and, given that, when you will be able to retire.